I had an amazing day on Saturday (2nd April). Not only did I visit the beautiful city of Edinburgh (after a gap of too long! ), but I had my first bookshop signing session. 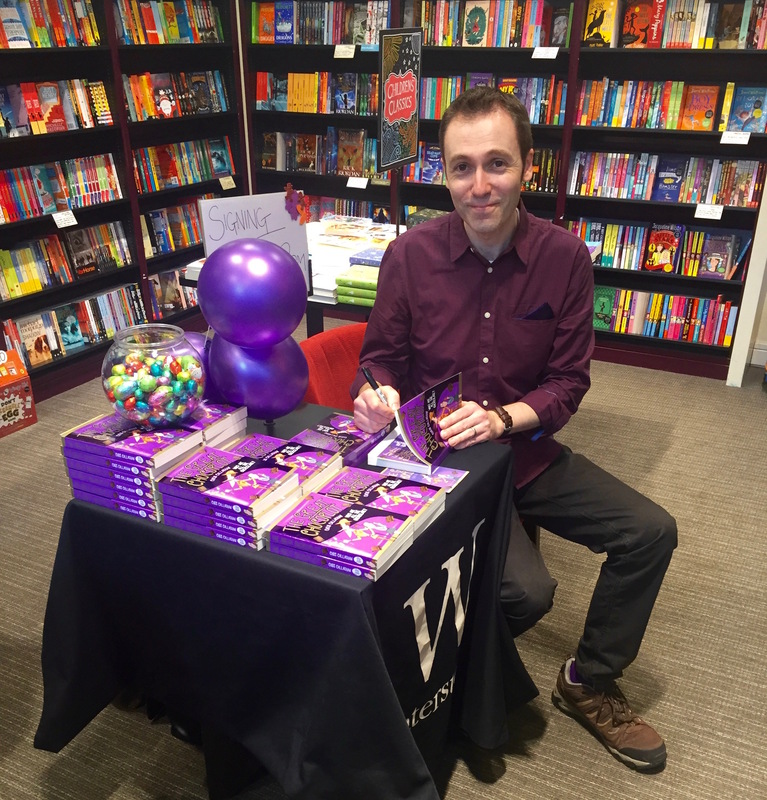 Waterstones West End kindly invited me along and provided me with my very own display table and chair!! Although I brought my own ‘support team’ of my wife and daughter to help out! 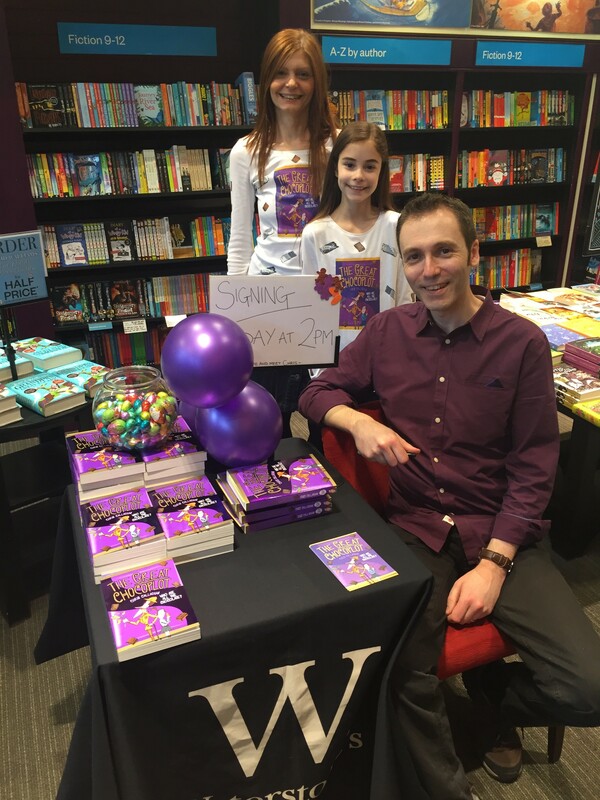 I spent the afternoon spreading a little chocopocalyptic panic – all in good fun! 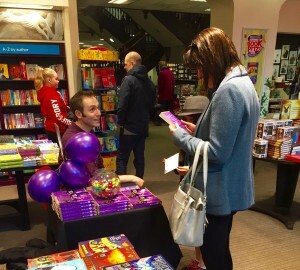 It was great chatting to readers about my story and sharing the odd bit of chocolate. 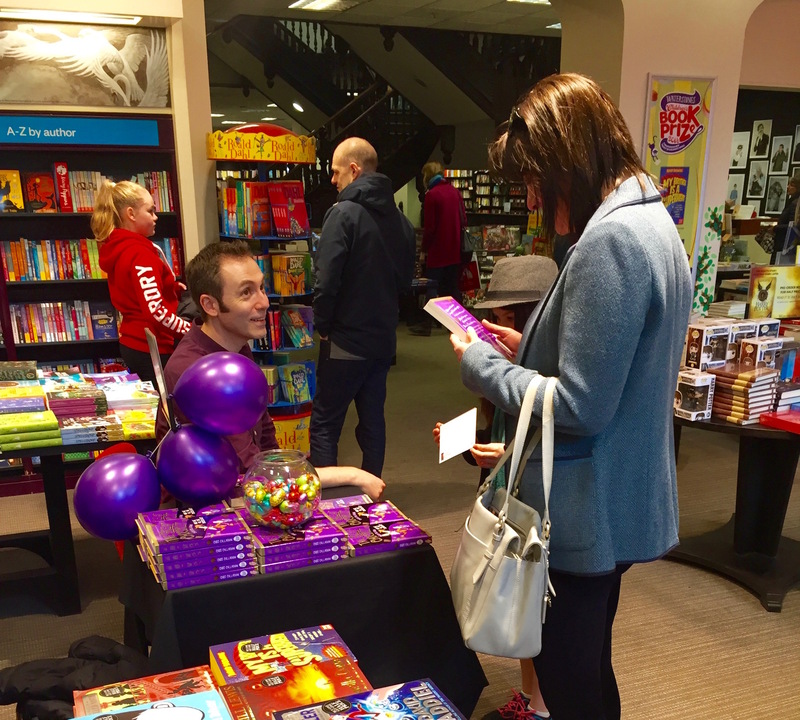 A huge thank you to all the staff and everyone who said hello. You all made me feel very welcome and I hope to return one day with book 2 – hopefully! !